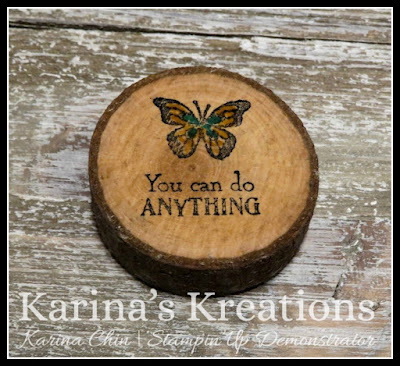 Karina's Kreations: Beauty Abounds Fridge Magnet! 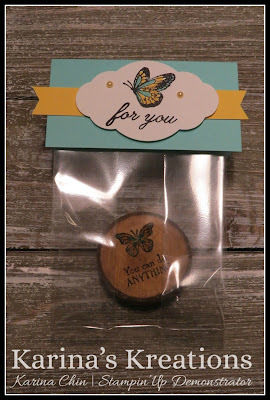 I have a sneak peek to share with you today! Once a year I hold an annual Shoe Box Swap/ Christmas Gift exchange for my team. I love getting together and I get so excited to see what everyone has made. This is my shoe box swap. It's a fridge magnet made with the new Beauty Abounds and So Hoppy Together stamp sets. These sets will be available Jan 3. 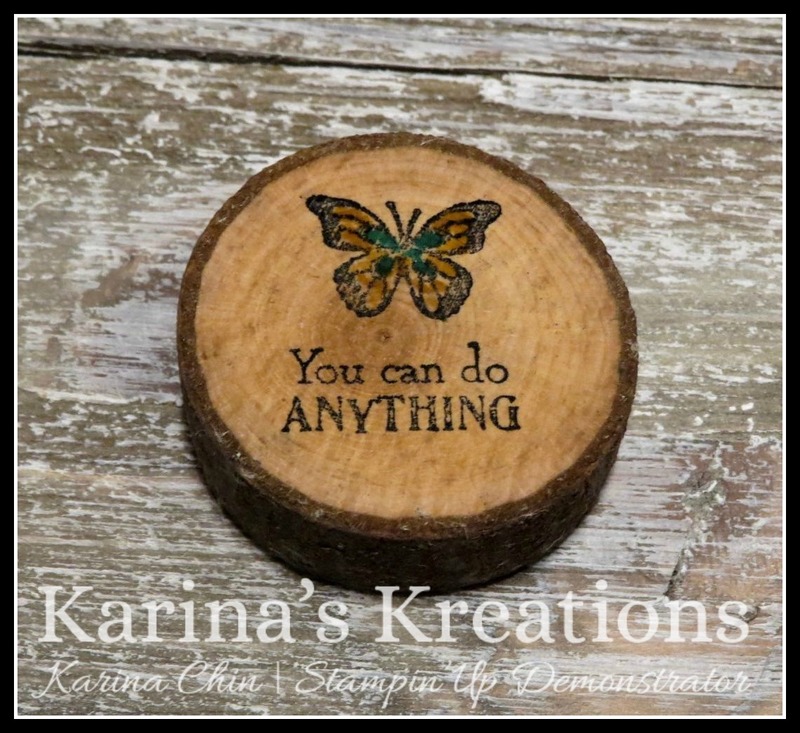 I stamped the images with Black Stazon ink and colored them with Daffodil Delight and Costal Cabana Stampin' Write markers. The tag also uses 3" x 6" cello bags and the Pretty Label Punch.